I’m very happy to welcome a guest-posting duo this week. Mariana Rodriguez Pareja is a communications expert and human rights advocate. You can follow her (here) on twitter. Salvador Herencia Carrasco holds an LL.M. from the University of Ottawa and is a legal adviser of the Andean Commission of Jurists. In their post, Mariana and Salvador consider whether Latin America, with its deep history of transitional justice and confronting past human rights abuses, could become a refuge for the individuals indicted by the ICC in Libya. Reports of human rights violations in Libya since the beginning of 2011 prompted the United Nations (UN) Security Council to adopt Resolution 1970 in February 2011, requesting the International Criminal Court (ICC) to investigate the possible perpetration of international crimes in the country. On June 27, the ICC issued a warrant of arrest against M. Muammar Gaddafi, his son, M. Saif Al-Islam Gaddafi, and the head of Military Intelligence, M. Adhullah Senussi, for the alleged perpetration of crimes against humanity, namely murder and persecution. This is the second time the ICC issues a warrant of arrest against an acting Head of State. The first time was in the situation of Darfur, when the ICC issued an arrest warrant against the President of Sudan, M. Omar Al-Bashir in 2009 and 2010, for the counts of genocide, crimes against humanity and war crimes. The Rome Statute, entering into force on July 1, 2002 has made possible what was unthinkable not too long ago: nobody is above the law vis-à-vis the perpetration of international crimes. 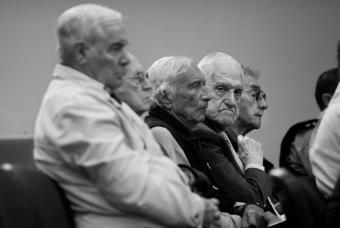 Despite the deterrent effect of the Rome Statute and the obligation of State Parties to fully cooperate with the ICC, there are questions as to what could happen if potential war criminals try to seek safe haven with non-State Parties or in State Parties that choose to ignore the authority of the Court for political reasons. Some months ago, M. Al-Bashir was likely to visit Venezuela, raising some concerns. Although Venezuela is a State Party to the Rome Statute, the government had opposed the ICC investigation in Darfur. In their view, the Security Council referral caused a politically motivated prosecution, resulting in a refusal to cooperate with the ICC. In the end, M. Al-Bashir neither visited Venezuela, nor left the African continent. 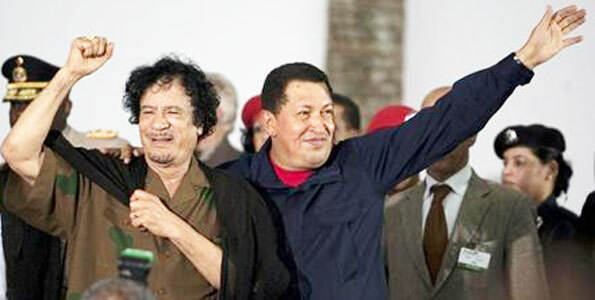 In the past few days, the media had reported that M. Muammar Gaddafi might seek asylum in Nicaragua, Venezuela or Cuba. This hypothetical visit raises significant questions for jurists in the region: What would happen if Al-Bashir, Gaddafi or any other criminal pursued by the ICC would come to Latin America? Is there a system in place to surrender those who are under a warrant of arrest by the ICC? This situation presents two concrete aspects: First, the obligation to cooperate with the ICC is a binding commitment for the 15 Latin American countries that have ratified the Rome Statute, which includes the surrender of individuals. 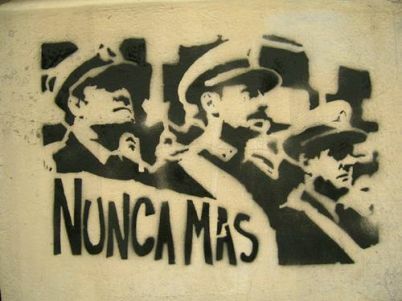 Second, the national prosecution of former Heads of State and Senior State officials for human right violations, enforced disappearances or torture, along with the jurisprudence of the Inter-American Court of Human Rights has created a legal framework that would prevent suspects of international crimes to seek safe haven in Latin America. This last point is important because although Nicaragua, Cuba, El Salvador and Guatemala have not ratified the Rome Statute, they are members to the UN and have the obligation to arrest M. Gaddafi, or any other person subject to an ICC arrest warrant for the Libya and Darfur situation, as the situations stem from Security Council Resolutions that have referred Darfur and Libya to the ICC and thus require the cooperation of all UN Member States. States Parties have a duty to arrest and surrender those who are suspected of committing crimes under the ICC Statutes, and those who are under an arrest warrant. Furthermore, seven arrest warrants issued for the ICC at the time of writing, are orders sent by INTERPOL, so the states are obliged to abide by them. If those suspected of committing a crime are arrested, the judiciary organ should decide whether to deliver them to the ICC. In the case of Darfur and Libya – both referred to the ICC via UN Security Council Resolution – then, all States that are members to the UN should comply and arrest those indicted by the ICC. The most important challenge is to achieve the cooperation from the States Parties: In order to be effective and truly fight against global impunity, the Court needs be able to rely on the cooperation from its member States. But the cooperation needed is not solely for the execution of arrest warrants, it means much more than that. We will not elaborate each of the necessary aspects of cooperation, instead we will focus on one aspect in particular. Cooperation is one of the cornerstone principles for the ICC’s operations. It has no police force and no prisons. According to the Rome Statute, States are responsible for arresting and surrendering ICC suspects to the Court. In addition, the ICC needs cooperation from States in gathering evidence, providing security to victims and gaining access to crime sites, among many other aspects of support. By adopting cooperation mechanisms, States will ensure the enforcement of the Court’s work, decisions, and rulings. Effective cooperation mechanisms have to be implemented at a national level and can also be promoted at a regional level. Throughout all these years, the OAS has supported the ICC with resolutions and special working groups, but in our opinion it will be pertinent to include specific actions with regards to the execution of the ICC arrest warrants and request of cooperation in any future resolutions and group schedules. One of the proposals could be to tackle the issue as a regional question between the members of the UNASUR, MERCOSUR and the Andean Community of Nations, just like the European Union (EU) works in cases related to universal jurisdiction. The Rome Statute does not violate any principle of law of treaties and has not created any other right or obligation hitherto non-existent in international law. Cooperation is a conventional and a specific obligation of the States to the Rome Statute, in accordance with the provisions of Article 86. So, the success of the Court depends on the cooperation of the states, and in order to reach it, it will be necessary to activate all the mechanisms available to execute the orders or cooperation needs issued by the Court. It also provides that national legislation is compliant with the Rome Statute at various levels, including the criminal procedure level. If this happens then it would be possible to realize factual or provisory arrests, delivery of people and other ways of cooperation inter alia. Most of the countries in the region are still putting the Rome Statute into practice within their domestic legislation; however this does not mean that the implementation of the Statute could meet our codes of criminal procedure, specifically in those items referring to the extradition and delivery of people. Commonly those items are managed as synonymous or similar, and there often is a very serious confusion of terminology, which should be tackled by our legislators. This new system of international justice, established by the Rome Statute and represented by the ICC, has increased the global impetus to fight impunity and represents a promise made to future generations, a vow to help turn the words “never again” into a reality. It also puts forward high standards for gender crimes, fairness of proceedings, and victims’ rights. Not having in place mechanisms of cooperation does not exclude or exempt our countries of their international obligation to the ICC. Our legislatures cannot disregard the current situation and should be updated in order to achieve that our region never more could become a shelter for war criminals, as it happened 60 years ago. This entry was posted in Argentina, Crimes against humanity, Darfur, Human Rights, Latin America, Libya, Libya and the ICC, Sudan, Venezuela. Bookmark the permalink. 2 Responses to Getting away with murder: Could Latin America become a safe haven for Libyan war criminals? 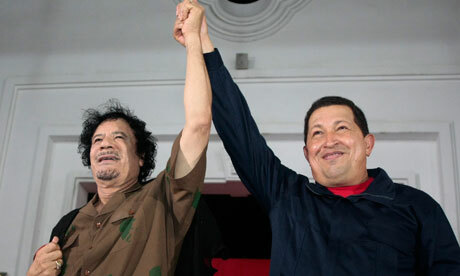 Pingback: Getting away with murder: Can Latin America become a safe haven for Libyan war criminals?